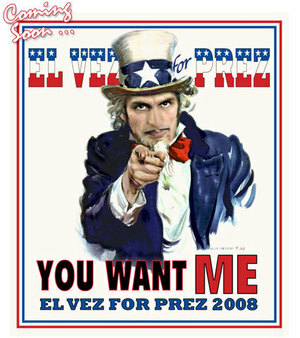 El Vez, the Mexican Elvis, makes fun of the Presidential race in his show El Vez For Prez! The Greater Mexico Podcast interviews men and women involved in political trends, cultural events and social movements before turning to an historical expert who seeks to place these events in a historical context. The mission of the Greater Mexico Podcast is to popularize debate about events affecting Mexicans and Chicanos and create a dialogue between present-day actors and the historical academy. Although the show is bilingual, the site also offers translations of monolingual interviews and discussions into ether English or Spanish.